CHERRY HILL, New Jersey, June 20th, 2017 – After receiving over 350 applications, Cherry Hill-based mortgage lender Garden State Home Loans accepted 10 college students for participation in its new summer internship program. Both graduate and undergraduate, GSHL’s interns come from a variety of colleges and universities, such as Rutgers, Temple, Rowan, and Cornell. 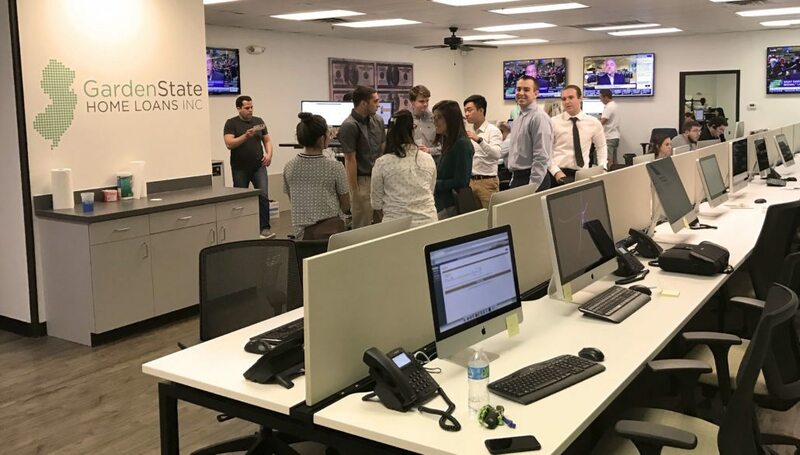 The interns also come from a wide array of different academic backgrounds, from digital marketing and psychology to finance and business management. As part of the 10-week summer program, interns will engage with a variety of subjects related to marketing within the mortgage industry, gaining first-hand experience with content marketing techniques, customer relationship management (CRM) software, and digital marketing strategy. Working in a fast-paced, competitive environment, the interns will be exposed to GSHL’s marketing strategy and encouraged to think of improvements to this strategy, as well as any new ideas. The experienced staff at GSHL will also play an important, supportive role in making sure that the summer interns feel comfortable within the office and appropriately challenged throughout the program. Anthony Casa (President), Justin DeJoseph (CEO), and Steve Weitzman (Marketing Director) hope to give the 10 college students a rewarding and productive summer experience, in contrast to many internship programs that task students with manual jobs like delivering mail or making copies. Each day of the internship program is split into two parts, with the first part of the day involving staff-supported instruction and the second part involving team-based, competitive work on various projects. Some of the projects already completed by the three intern teams include a new ‘About Us’ page for GSHL’s website and content for the lender’s blog. Both the interns themselves and the team at GSHL are excited to continue working together on exciting and meaningful projects for the remainder of the summer.